Summer’s here, and the time is right – for drinking Beaujolais, whatever else the Rolling Stones may have thought. Of course, you can enjoy Beaujolais all year round, but it does seem to be the quintessential summertime red wine – light and fresh, good drinking with all sorts of food (yes, even fish and shellfish), and yet a real wine, with subtlety and nuance enough for the most demanding palate. The Beaujolais that best supply that kind of pleasure are the cru wines – bottles from the ten named districts that constitute the heart of Beaujolais country. There, they don’t just grow Gamay: They apotheosize it. Right now, crus Beaujolais are probably finer than they have ever been. Producers and consumers have outgrown the obsession with Beaujolais nouveau, a to-my-mind-inexplicable phenomenon of what seems the distant past (though in fact not that many years ago). But Beaujolais’ past is checkered like that. The Gamay grape first enters history – written history, that is – in 1395, when Duc Philippe le Hardi of the then-powerful Duchy of Burgundy ordered it to be extirpated from all his territories as a variety “tres-mauvaiz et tres-desloyaulx” and producing a wine unfit for human consumption. Obviously, Duc Philippe, like the hero of the movie Sideways, was Pinot noir man, though it still seems more than a little bit odd to accuse a grape of disloyalty. Whatever the truth of the matter, Gamay was banished from most of Burgundy, leaving the Côte d’Or free for Pinot noir and Chardonnay. Gamay migrated a bit south, where it was welcomed by the dukes of Beaujeu and where it thrived, continuing its history under the name of Beaujolais and producing wines quite fine for human consumption. Those ten crus form the heartland of the Beaujolais growing zone, which can be thought of as a concentric (if irregular) ring: outermost, simple Beaujolais appellation; then Beaujolais Villages; then, at the core, the crus – Brouilly, Côte de Brouilly, Chénas, Chiroubles, Fleurie, Juliénas, Morgon, Moulin-à-Vent, Régnié, and Saint-Amour. The soil in these vineyards is quite different from the clay-laced soils of the other Beaujolais zones: Dominated by granite and slate, it confers much greater mineral character and complexity to its wines. 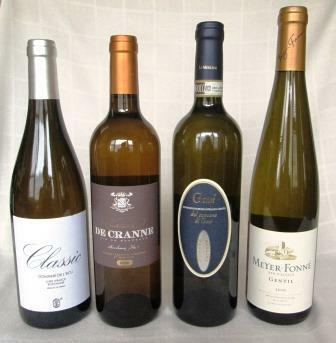 Each of those crus has a character at least slightly distinct – and in the best vintages, markedly so – from the others. 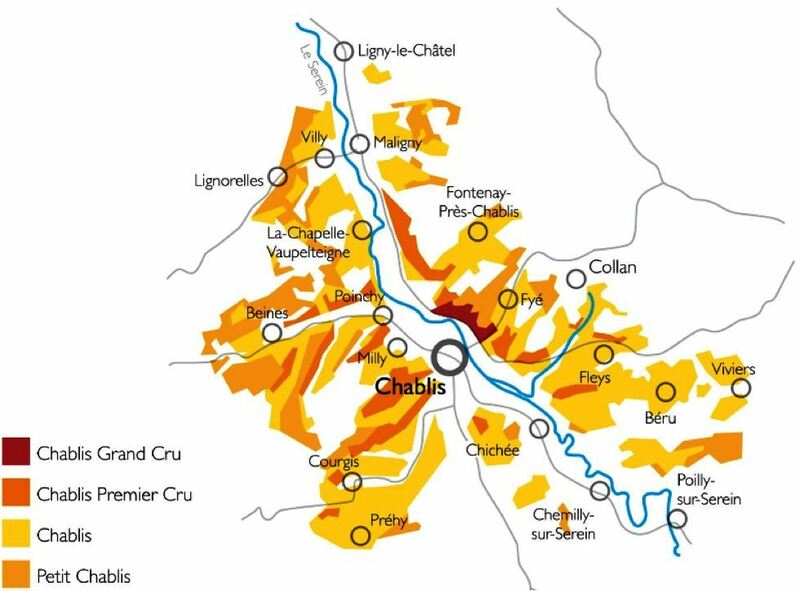 Noted British wine writer Jancis Robinson rates Chiroubles as the lightest, and then in ascending order of heft, Saint-Amour, Fleurie, Régnié, Brouilly, Côtes de Brouilly, Juliénas, Chénas, Morgon and Moulin-à-Vent. I don’t fully agree with that: I usually find Côtes de Brouilly and Brouilly among the lightest-bodied of the crus, and Moulin-à-Vent, Morgon, and Chénas among the fullest, with all the others strung out between them. But that may be a function of which wines by which producers find their way to New York, where I drink most of my Beaujolais, and what Ms Robinson has access to in Britain and France. 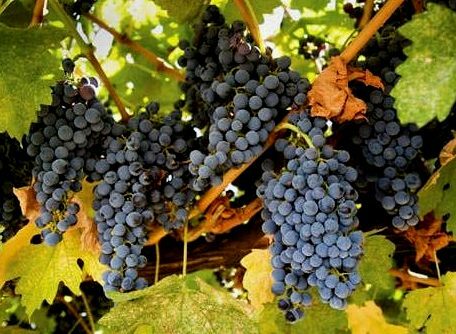 The key thing to remember is that all these crus share intense Gamay fruit, decent tannins, and lovely acidity – all of which place them among the most versatile of French wines for matching with foods of all sorts. Lyon, which lies to the south of the Beaujolais, is rightly regarded as one of the gastronomic capitals of France, and the Lyonnaise drink prodigious amounts of Beaujolais – so much so that Lyon is often said to be watered by three rivers: the Saône, the Rhône, and the Beaujolais. ‘Nuf said? I don’t want to leave this ode to Gamay too general or impersonal: I love cru Beaujolais and I wish it got more respect among wine lovers. My favorites are Chiroubles, Fleurie, Juliénas, and Morgon. I would drink a lot more Chénas if I could get hold of it: It’s the smallest of the crus, and very little Chénas ever seems to make it to these shores. 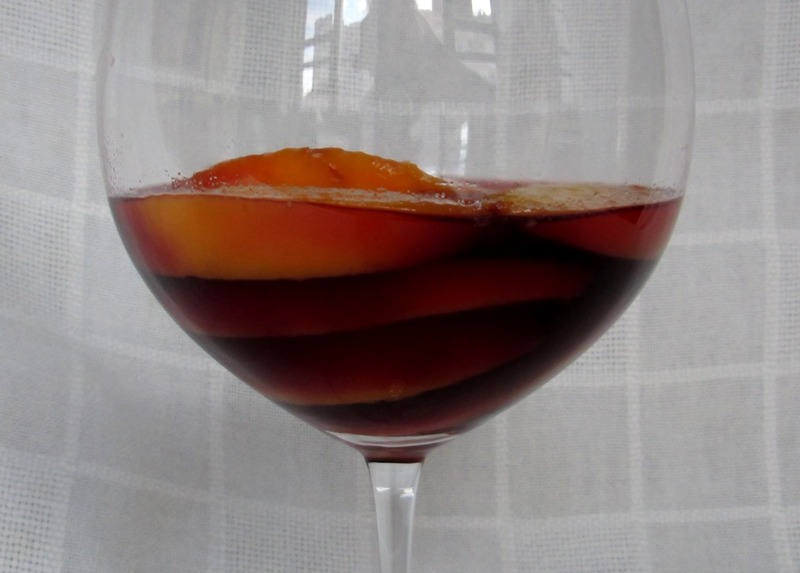 If you can find any, be sure to try it: It has a marked mineral character and a distinctive, round, dry fruit. 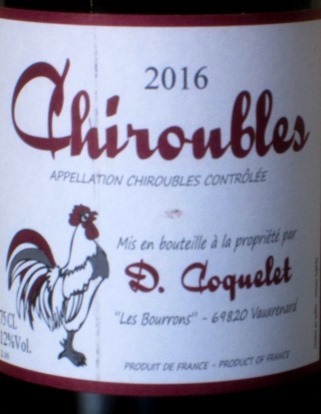 Chiroubles 2016, from D. Coquelet, a young grower who learned from an old master (his stepfather is Georges Descombes, a top-tier producer). If you can imagine a whole chorus of basso profundo strawberries singing in unison, then you’ve got a good idea of what this bright, zesty wine is like. Fleurie Les Moriers 2016, from Domaine Chignard, where fifth-generation winemaker Cedric Chignard a few years ago took over from his father Michel. 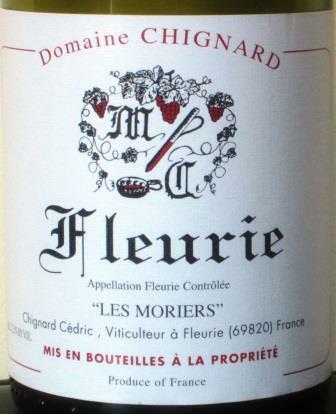 Fleurie Les Moriers is their prized vineyard, generally regarded as one of the best in the appellation. This wine seduces with lovely, brambly, black raspberry and cherry flavors, with intriguing notes of black currant. 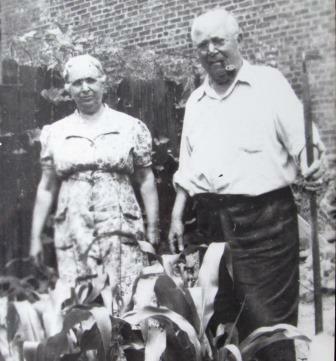 At the upper end of the medium-bodied range. 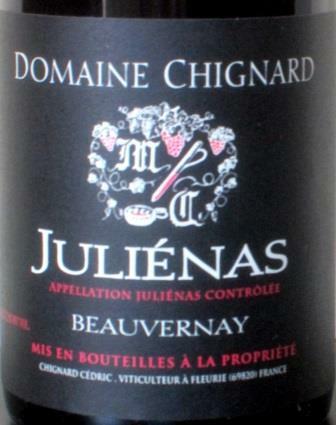 Juliénas Beauvernay 2016, also from Domaine Chignard, represents a new undertaking for the family. The vineyard’s old vines (average 60 years) yield a wine very much in the Chignard style: full-bodied and a symphony of fruit – black cherry shading into plum, with black berry overtones, thoroughly enjoyable. 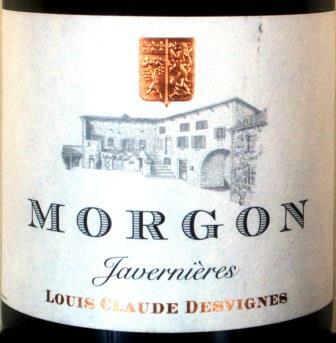 Morgon Javernières 2015, from Louis Claude Desvignes, a fat, juicy, purple-hued wine, one of several fine single-vineyards Morgons from this eighth-generation producer. Nobody needs to be told that deep summer is Beaujolais weather. I’ve been enjoying some old favorites for two months now, and I’ve also had the pleasure of discovering Drouhin’s new selection of three excellent Beaujolais crus, a Brouilly, a Fleurie, and a Morgon. For me, the cru wines of Beaujolais are the quintessence of Beaujolais. Call me a snob (I probably am), but I never drink Beaujolais Nouveau: When I want candy, I will walk over to Li-Lac Chocolates and get some good stuff, thank you. And I only occasionally drink simple Beaujolais, from the larger zone that surrounds the heartland of the 10 crus. More often, I opt for a Beaujolais Villages, a smaller, better zone, and then usually from a producer I know and respect, such as Roland Pignard. 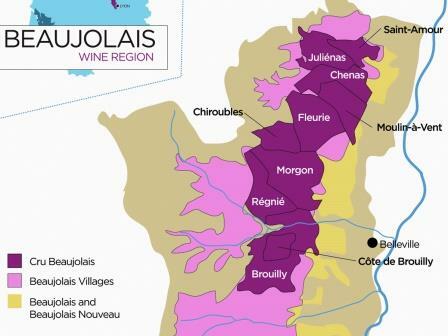 But most often, my Beaujolais of choice comes from one of the named and quite distinctive crus – Brouilly, Côte de Brouilly, Chénas, Chiroubles, Fleurie, Juliénas, Morgon, Moulin-à-Vent, Régnié, and Saint Amour. There are many excellent producers in these appellations, some quite small, some quite sizable. Probably the best known in this country – and certainly the most widely available – is Georges Duboeuf, who produces Beaujolais in every category from the simplest to the most rarefied. Obviously, he is a big producer, and a pretty good one, though I usually find his wines ho-hum: They just taste too industrial to me, too made-to-a-formula. Among the big producers, I think Jadot does a better job: I like particularly its well-structured Château des Jacques Moulin-à-Vent. Indeed, I have strong memories of visiting this cru years ago, when the iconic windmill had just been restored and was set to turn again for the first time in many decades. Jadot, I believe, was a major supporter of the restoration, and most Beaujolais old-timers saw the event as a kind of rebirth for the whole zone. It may be just post hoc, but in fact the wines of all the Beaujolais crus have been steadily improving ever since. Moulin-a-Vent is popularly supposed to be the longest-aging Beaujolais, and it is certainly true that in a good vintage it will age beautifully for sometimes up to 20 years – but so will Morgon and Chénas, and I’ve tasted (admittedly ideally stored) 20- and 30-year-old bottles from several other crus that drank beautifully, with an almost Burgundian grace. But ageworthiness is only an added attraction of a good Beaujolais: What really counts in all the crus are their youthful charm and exuberance, their lightness of touch and sheer refreshing enjoyability. The bottles I like best almost always come from smaller growers who cultivate very particular terroirs and microclimates. They won’t all be available everywhere, but they are worth the trouble of seeking out. Just because a wine offers light and pleasurable warm-weather drinking doesn’t mean it has to be anything less than a real and interesting wine. Some really fine ones include Jean-Paul Brun’s Terres Dorées Côte de Brouilly, Julien Guillot’s Ultimatum Climat Chénas, and Coudert’s Clos de la Roillette Fleurie. I have made no secret of my admiration of the house of Drouhin’s fine Burgundies, so I was more than a little interested to find that three Beaujolais crus have been added to its portfolio. The Brouilly, Fleurie, and Morgon are all grown and vinified in the Domaine des Hospices de Belleville properties – 34 acres in all – under an exclusive partnership agreement that gives the Hospice the advantage of Drouhin’s viticultural know-how and distribution while still retaining the concentration of the small grower’s familiarity with the vineyards and its commitment to them. I tasted three samples – all 2014 vintage – and found each classically true to its appellation. The Brouilly smelled of cherries and blackberries and tasted lightly of strawberry. It was characteristically dry and acidic, even a touch austere, with a long spice and leather finish – thoroughly enjoyable. The Fleurie, a slightly bigger wine, showed scents of blackberry, earth, and black pepper. It was rounder in the mouth and less obviously acid, with dark berry flavors up front and a berry/pepper finish. 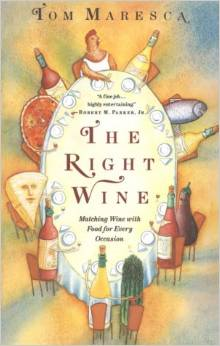 Again, completely enjoyable, and a seemingly fine companion for any summer meal. The Morgon, finally, was the biggest and most structured of the three, with an earthy, almost meaty nose with undertones of tar and bramble, an almost zinfandelish character (top quality zinfandel, to be sure). In the mouth, it was completely dry and sapid, rich with notes of blackberry, bramble, and earth, and with a long berry finish. Because of flavors like that, Morgon has always been one of my favorite Beaujolais crus, and this example instantly moved to the top of my short list. All three will probably hold well, with no loss of youthful charm or vigor, for three to five years before any tastes of maturity set in – so, while these Beaujolais don’t need cellaring, you don’t have to fear putting a few of them away in a quiet corner for future enjoyment. If the stories I’ve heard about the horrific hailstorms in Fleurie this spring are half true, that may not be a bad idea. 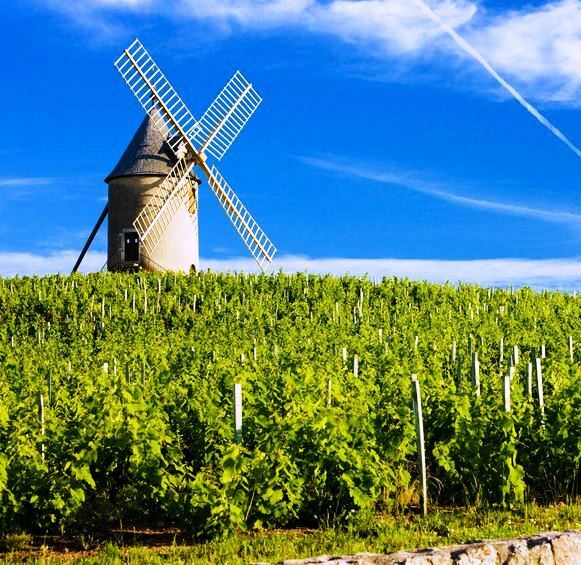 Beaujolais doesn’t often get the respect it deserves, though it was a hopeful sign that The New York Times gave it some attention not too long ago. Long overdue, by my lights: If you’re an old geezer like me, you first learned wine on Beaujolais and you never really got over your first romance. Beaujolais’s beauty is its enjoyability and versatility. Most Beaujolais, from the simplest to the most exalted, tastes wonderfully of berries – strawberry in the lightest to black raspberry in the fullest – compounded with other woodsy, underbrushy flavors and scents. And all Beaujolais has relatively high acidity, which makes the wine very food-friendly and compatible with all sorts of meals. Even better, Beaujolais appeals to all levels of wine expertise – so delicious it’s universally likeable, yet complex enough to please connoisseurs. 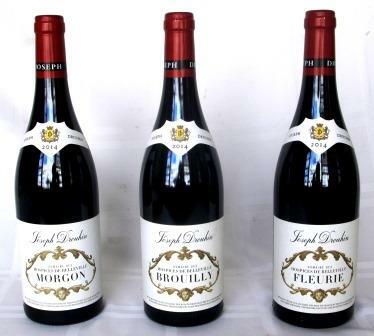 Anyone just beginning to explore wine would do well to start with a bottle of simple Beaujolais from a reliable maker. Georges Duboeuf is the most widely distributed producer in the US, and he makes about every category of wine that the Beaujolais zone offers. 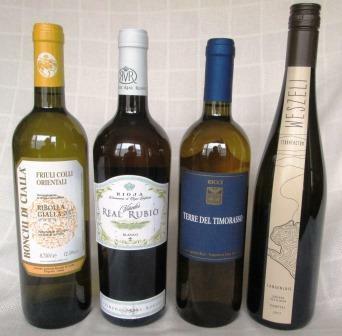 I’m not crazy about them myself – a little too sweetish for my taste – but his wines are a good place to start. After a basic Beaujolais, the next step up is Beaujolais Villages, a wine from a more restricted area, with a bit more body. Trying a bottle of each side by side is a good way to discern the subtle but real differences. Comparison tasting is the best way to learn about wine, and it needn’t be expensive: Most Beaujolais cost between $10 and $30 (the upper range is for the cru bottlings: see below). It’s inexpensive and fun for a few friends to get together, split costs, taste the wines thoughtfully (remembering to take notes), and then enjoy them with dinner. 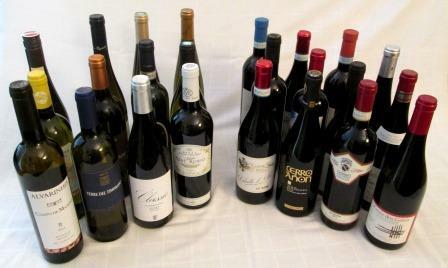 It may be surprising how they change with food, usually for the better – and that, in itself, is a valuable lesson about the pointlessness of rating systems, where wines are judged without food. 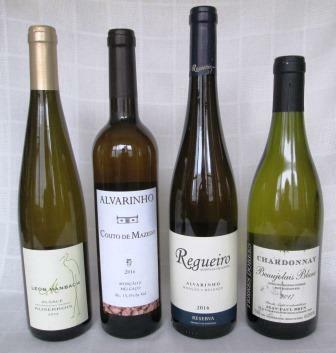 and Regnié, which in different vintages shows some of the qualities of all of these. 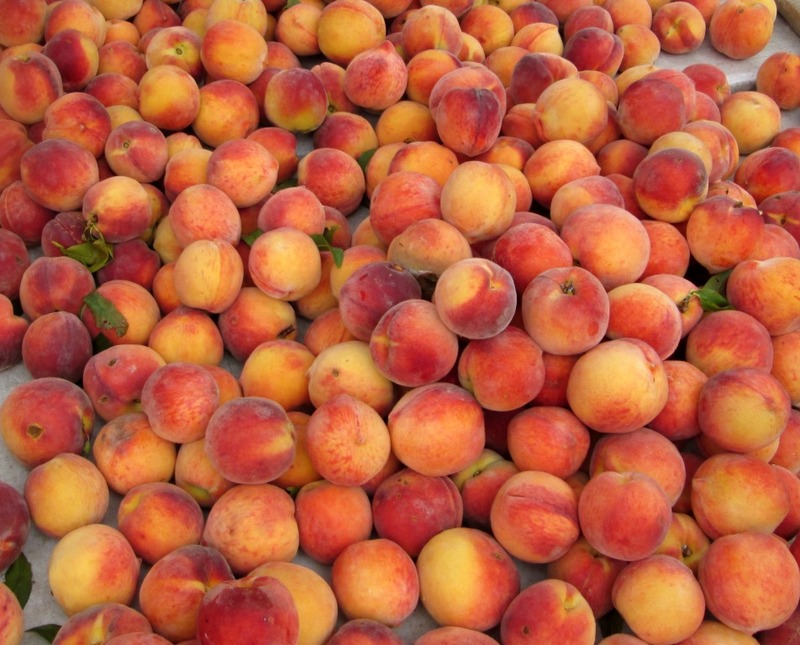 There are, of course, many other small, high-quality producers. Head out to your favorite wine shop – the one where the staff enjoys talking about wine and knows at least its own stock very well – and try some of their selections. 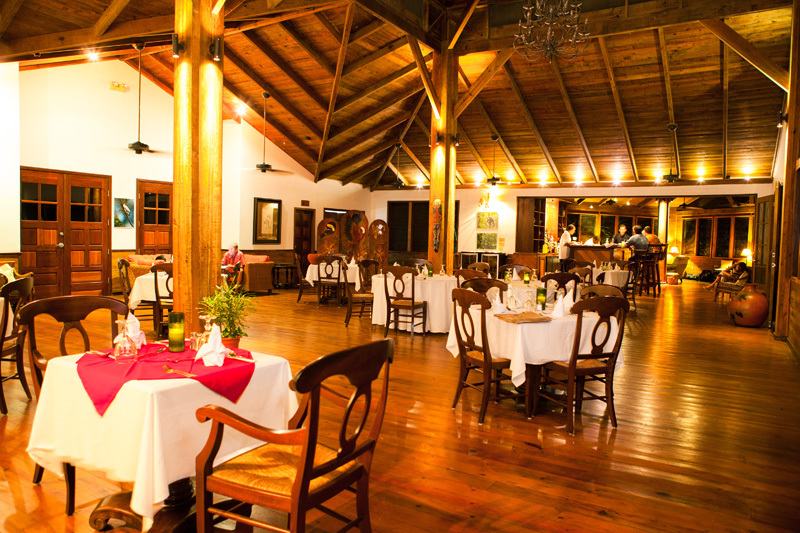 If you’re a long-time wine buff, you may very well rekindle an old flame. And if you’re a beginning wino, you might be starting a lifelong romance.